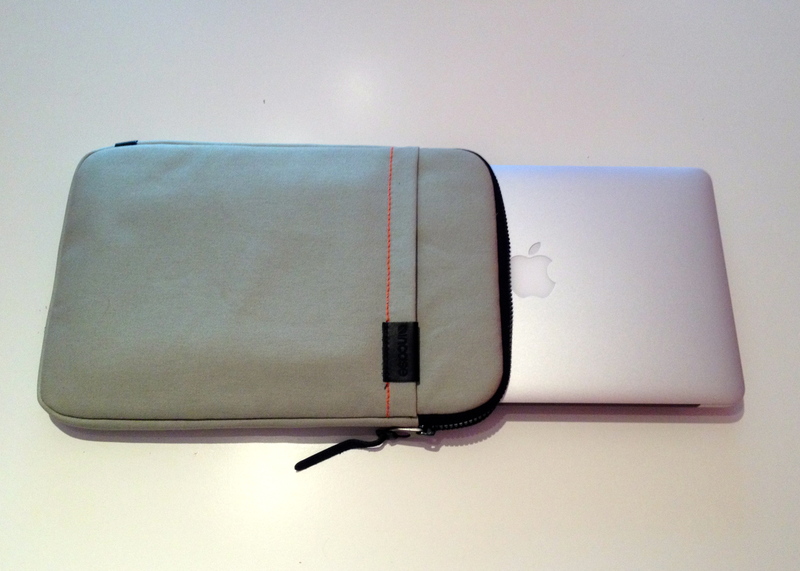 I just ordered and received the 11″ Terra Sleeve by Incase for my new 11″ MacBook Air. I really like it. 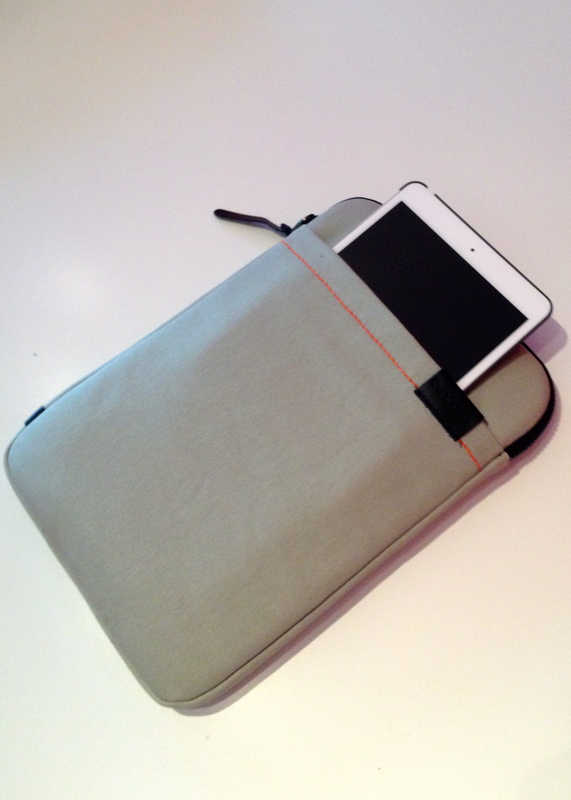 It provides great protection and has a pocket on the front which I slip my iPad mini into. I believe you could slip a full sized iPad in the pocket as well. While it retails for $44.95, I was able to snag one on Amazon for $17.99 plus shipping. It is definitely worth it for that price in my opinion. The main compartment has an oversized zipper which seems very tough. This is the perfect sleeve for my needs. I can bring this with me on the go and use the iPad mini as a wireless hotspot for the MacBook Air. If I had one complaint it would be that there is no way to use a shoulder strap with this bag, but it’s definitely not a deal breaker. 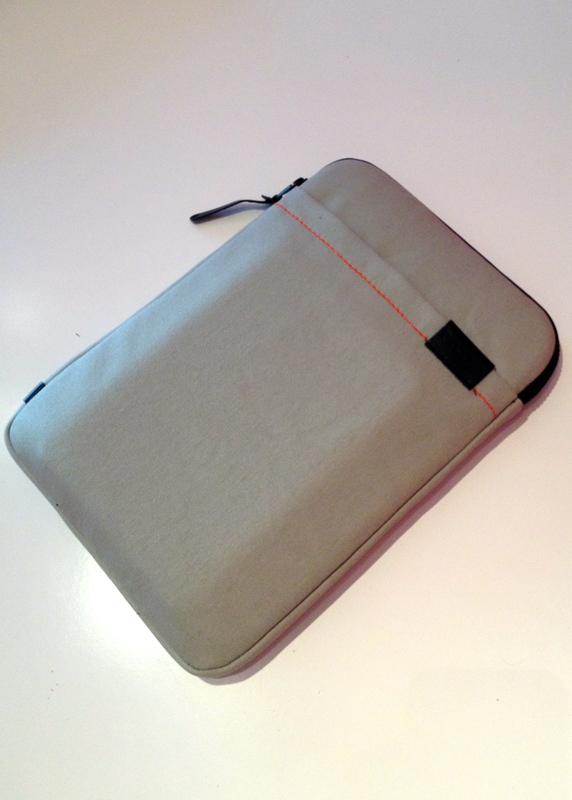 Bags/Sleeves for 11″ laptops are somewhat hard to find compared to other size laptop bags but I would definitely recommend it to someone in the market (Incase also sells 13″ and 15″ versions). I took a few pictures of the bag which I will put below this post. This entry was posted in Bags, Reviews and tagged apple, bags. Bookmark the permalink.